This workshop is the second edition of a series of yearly meetings of the Dark Machines community (http://darkmachines.org/), a research collective of physicists and data scientists. The aim of the workshop is to answer cutting edge questions about dark matter with the most advanced techniques that data science provides us with. The researchers coming to this workshop will bring together expertise in particle physics, astrophysics, cosmology, statistics and information science (machine learning) and plenty of time will be devoted to discussions and brainstorming. The workshop will have plenary sessions covering the main topics in the field of machine learning and dark matter. In addition, there will be a limited number of parallel talks. 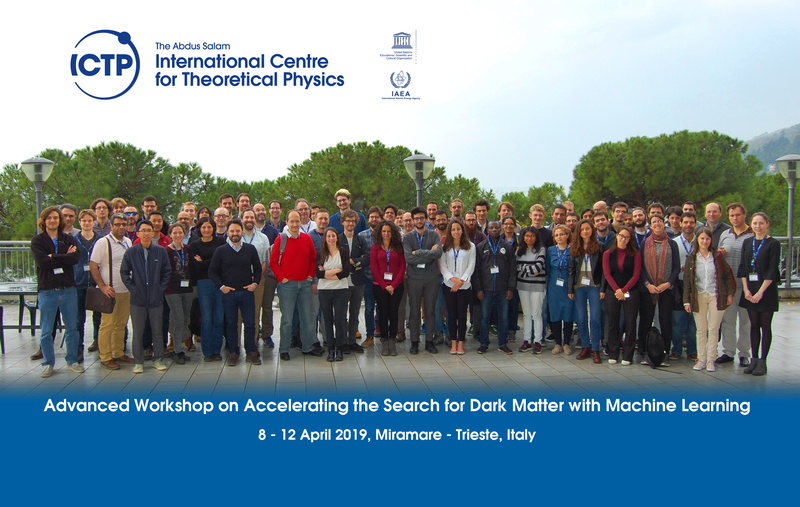 We encourage scientists interested to present their work on applications of machine learning to dark matter problems to submit their abstracts. Afternoons will be devoted to hands-on sessions, during which the participants will work on the ongoing darkmachines challenges (listed here http://darkmachines.org/#projects) or propose and start new ones. The last day of the meeting will be dedicated to the discussion related to the DarkMachines organisational issues (progress of the white paper, summary of computational challenges etc). NOTE: The deadline for requesting participation was 10 March 2019. For any queries please e-mail smr3280@ictp.it.